Turn your pictures to canvas in minutes and watch your memories brighten up the walls! Choose a single picture or several pictures to upload for a beautiful wall collage of canvas prints! Your canvas pictures will be made straight from your photos, with quality material and beautiful finishing. 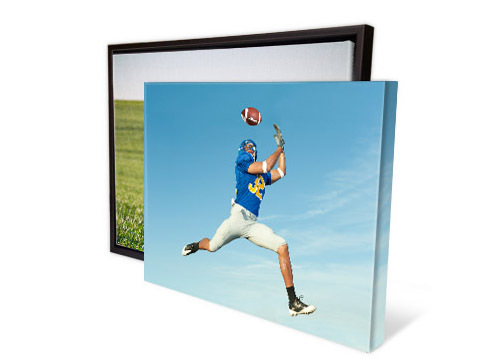 Easy Canvas Prints strives to make printing your pictures on canvas an easy and enjoyable experience! Canvas pictures are the perfect decoration to start a conversation! Print pictures on canvas with our easy canvas prints design tool! Upload your pictures on the site, choose the size, depth, border, and you're done!